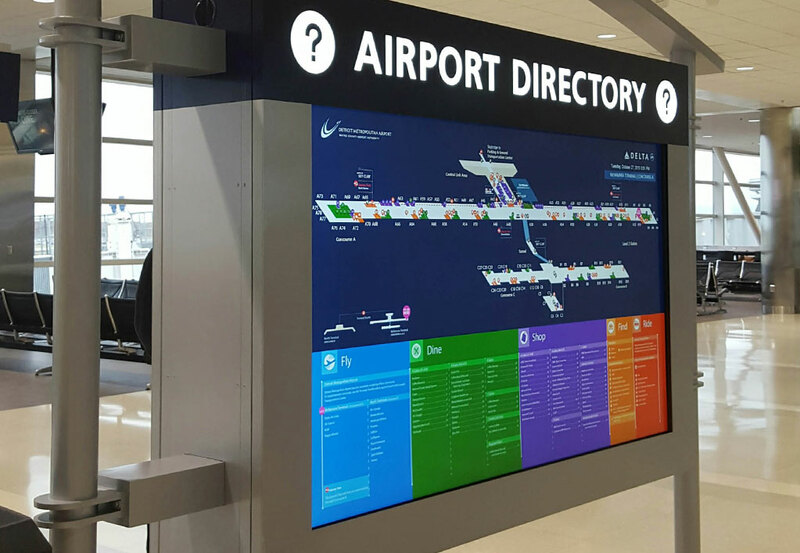 DTW Digital Signage Upgrade - Arora Engineers, Inc.
Arora was selected to provide a complete design/build/operate/maintain (DBOM) program for new static and interactive digital signage at Detroit Metropolitan Wayne County Airport. 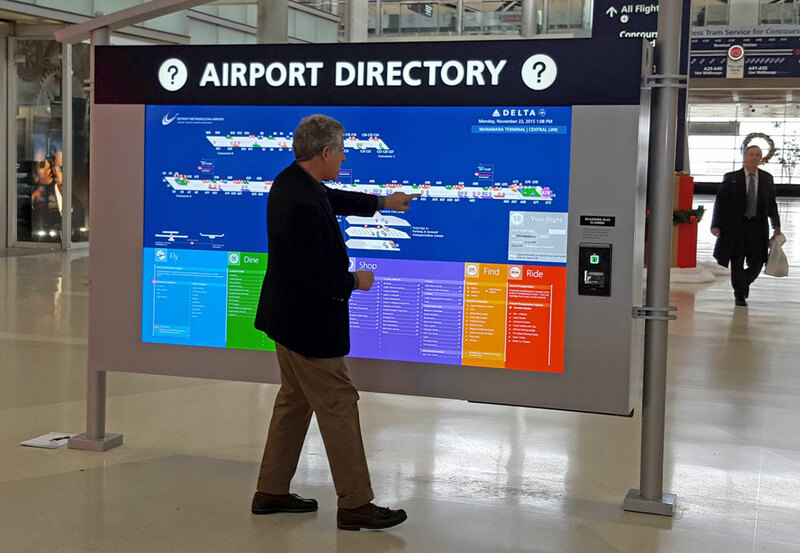 Arora provided design for 23 new state-of-the-art digital terminal directories as well as two new 98-inch ultra-high definition 4K interactive directories. 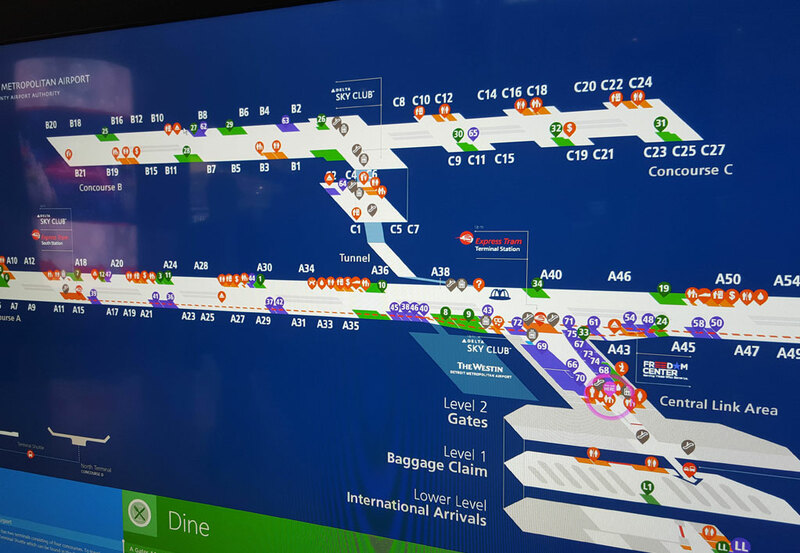 The 98” displays feature boarding pass scanners that can help a customer visually plot the best route to any point within the terminal. Prior to the design phase, Arora’s team provided an ergonomic study to identify passenger flow, wayfinding gaps and the best locations for new signage. 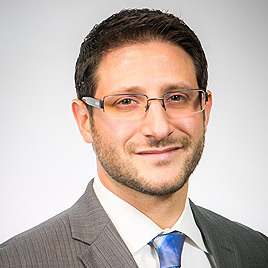 The Arora team was also responsible for the programming of the software utilized for the signs, installation of the new digital signage and maintenance of the signage.